Opening: November 17, at 20:00 h.
The poet Rafael Alberti, in his poem “Ballad for the Andalusian poets of today,” published in Ora martima followed by the ballads and songs of the Paraná (1953), asked a series of questions about Andalusian poets: What do they sing, what do they see, what do they feel? Subsequently, the musical group Aguaviva created a song in 1969 that enjoyed widespread popularity during the last years of the Franco dictatorship. Looking at both the poem and the song now, changing the questions slightly and substituting poets for artists, it seems we would have to wonder what to think and what to feel in a difficult situation of crisis and transformation. Or, in other words, to explore the potential for action and reflection that the contemporary art produced in our time and in our shared space has. If poetry (art) were a weapon loaded with future – as Gabriel Celaya wrote, also in the 1950s – it might be part of a resistance movement that is both political and aesthetic. All of the projects presented here were created especially for the exhibition. 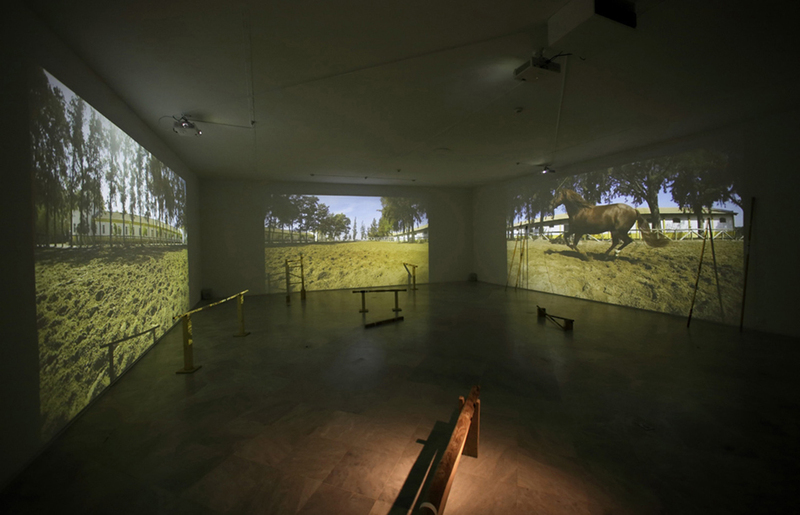 Julia Llerena (Seville, 1985) and Cristina Mejías (Jerez de la Frontera, 1986) use video as a medium to reflect on issues such as access to housing and communication, which are presented here allegorically using the metaphors of the starry sky and the taming of horses, respectively. 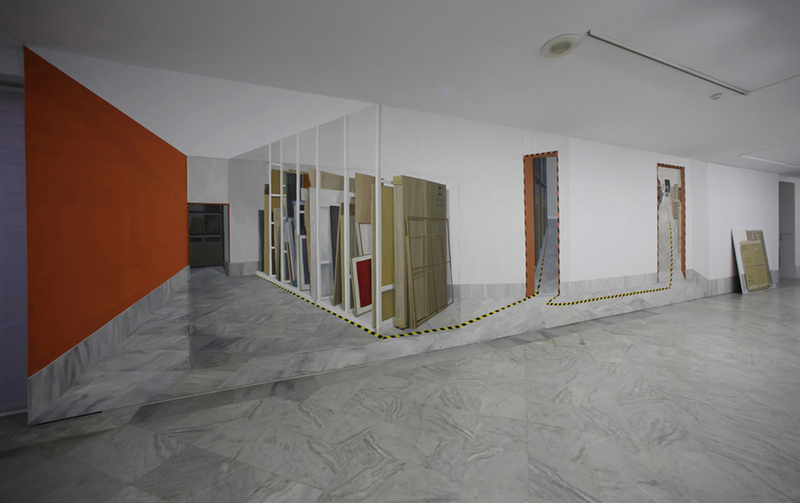 Using the internet, both Jose Iglesias Gª-Arenal (Madrid, 1991) and José Jurado (Córdoba, 1984) speak to us about the periphery in a collaborative work that gathers the opinions of the Andalusian community of artists. 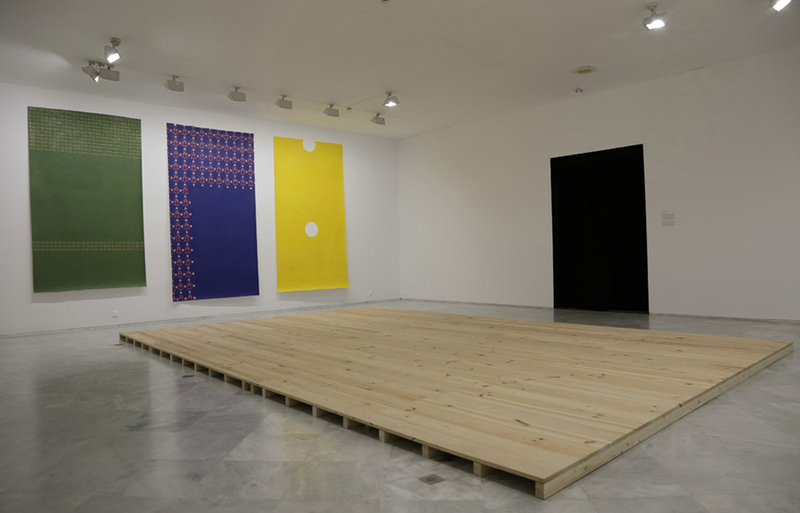 Another collaborative work is that of Daniel Silvo (Cádiz, 1982), who has transformed one of CAAC’s exhibition rooms into an atelier for another nine young artists. Meanwhile, Javier Artero (Melilla, 1989), Leonor Serrano Rivas (Málaga, 1986), Fuentesal&Arenillas (Huelva, 1986 and Cádiz, 1989) and Gloria Martín (Seville, 1980) have used the space in their own specific way. The first two have created a kind of stage on which the visitor produces the definitive action of the plays. Leonor relates more with the architecture of the place, while Artero raises the question of enmities with a video that shows fragments of events occurring on a seaside promenade. The installation of Fuentesal&Arenillas creates a dialogue with the physical, social and emotional surroundings in which the work is framed. Finally, Gloria Martín explores with her paintings the invisible storage spaces of this museum, half hidden memories of the vicissitudes of artistic policy in Andalusia.